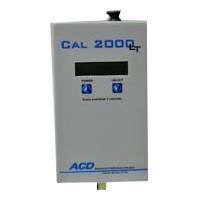 ACD CAL 2000LT Portable calibration gas generator. 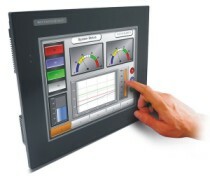 Convenient hand-held design with fixed ppm (1 to 25 ppm) and flow rate. Flow rate and desired concentration required at time of order. The CAL 2000 LT is an economical alternative for calibration of corrosive gas detection equipment. The CAL 2000 LT is available in pre-set flow-rates of 0.5 or 1.0 LPM. Generating cells are rated at ten hours and are available for chlorine, hydrogen, hydrogen cyanide and hydrogen sulfide. A gas concentration must be specified when ordering generating cells, over a range of 1 to 25 ppm in whole ppm increments. To change gas type or concentration simply insert a different cell into the instrument. The CAL 2000 LT is microprocessor controlled and has an LCD display allowing easy user access to information such as cell life remaining, battery status, gas concentration and flow-rate. The generating cells are interchangeable and field replaceable and come with a one year warranty. The CAL 2000 LT gas generator has a built-in mass flow sensor that automatically compensates for altitude and temperature. Both the CAL 2000 LT instrument and the gas generating cells are NIST certified + 10% accurate for one year. Instruments and cells can be re-certified at the ACD factory. Best of all, when you are ready for more options or longer life cells, the CAL 2000 LT can be easily upgraded to the CAL 2000. 510-2005-LT Chlorine (Cl2) Cell 25 hours for CAL 2000LT Portable calibration gas generator. ..
510-2050-LT Hydrogen Sulfide Cell (H2S) 10 hours for CAL 2000LT Portable calibration gas generator. ..
510-2055-LT Hydrogen Sulfide Cell (H2S) 25 hours for CAL 2000LT Portable calibration gas generator. ..
510-2070-LT Hydrogen Cyanide (HCN) Cell 10 hours for CAL 2000LT Portable calibration gas generator. ..
510-2075-LT Hydrogen Cyanide (HCN) Cell 25 hours for CAL 2000LT Portable calibration gas generator. ..
510-2090-LT Hydrogen (H2) Cell 10 hours for CAL 2000LT Portable calibration gas generator. ..
510-2095-LT Hydrogen (H2) Cell 25 hours for CAL 2000LT Portable calibration gas generator. ..
362-0600-00 Power Adaptor for CAL 2000/2000LT Portable calibration gas generators, 115 VAC/9V with US Plug ..
730-0603-00 Nylon Carrying Cases for CAL 2000/2000LT Portable calibration gas generators. ..
730-0615-00 Hard Carrying Case for CAL 2000/2000LT Portable calibration gas generators. ..
> CALIBRATION GAS GENERATORS > INSTRUMENTS : 4 Items found. 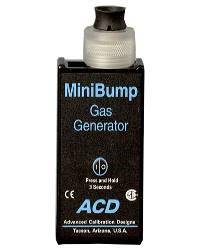 ACD MiniBump Electrochemical Ultra Small gas generator. Designed for �bump� testing Chlorine (Cl2), Hydrogen (H2), Hydrogen Cyanide (HCN) or Hydrogen Sulfide (H2S). Uses only two �AA� alkaline batteries. CSA NRTL/C Exia T-6 approved. Source not included. 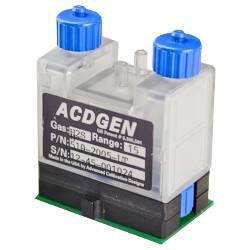 ACD CAL 101 Low cost battery powered electrochemical gas generator. Wall Mount Bump Station Instrument. Field replaceable cells provide calibration quality standards for accurately testing. Non-hazardous shipping; designed to meet intrinsic safety requirements. Calibration method approved under ISO DIS 6145-11 standards. 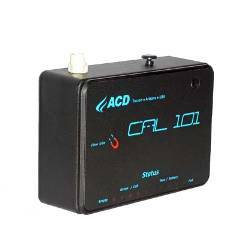 ACD CAL 101 Low cost battery powered electrochemical gas generator. Field replaceable cells provide calibration-quality standards for accurately testing. Non-hazardous shipping; designed to meet intrinsic safety requirements. Calibration method approved under ISO DIS 6145-11 standards. 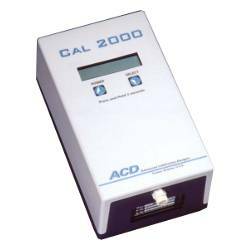 ACD CAL 2000 Portable calibration gas generator. Convenient hand-held design with adjustable ppm and flow rate. NIST traceable certificate.